President Obama is marketing his new budget by saying it has “more than $2 in spending cuts for every $1 of new revenue.” Is this true? The President increases spending by $1.1 trillion by cancelling sequestration.Sequestration, the automatic spending cuts adopted in the Budget Control Act of August 2011, is already in effect. 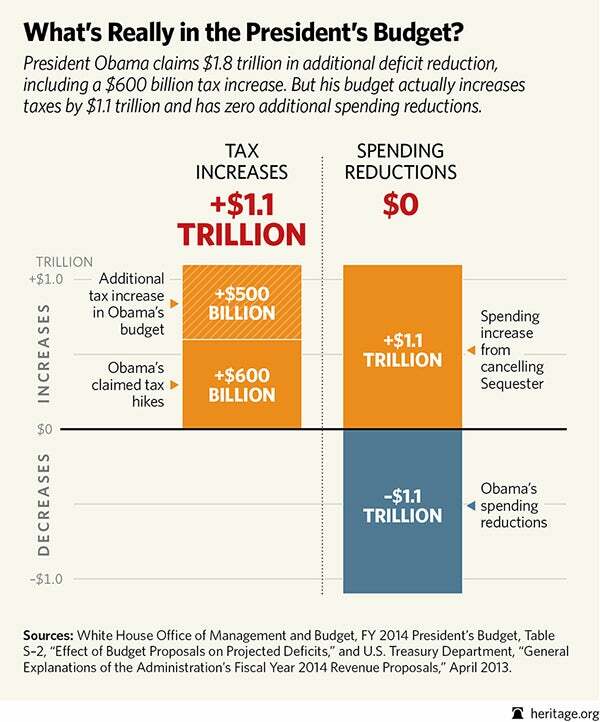 Thus, cancelling these reductions in spending increases spending by $1.1 trillion over 10 years.